Lent is drawing to a close and it’s time to get geared up for Easter baskets! At our house the yummy Easter candy is from grandma but we like to get a few sweet gifts for the kids ourselves from small businesses for their baskets. 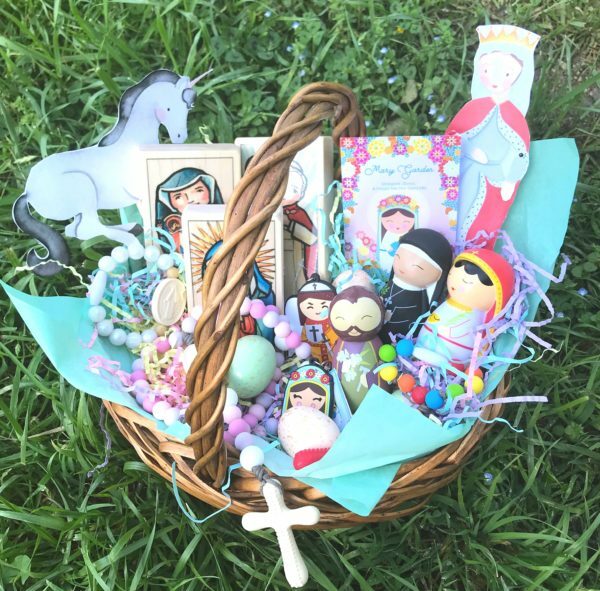 This year, I wanted to share the love by introducing you to some of my very favorite Easter basket stuffers and offering a huge giveaway for a lucky reader by collaborating with four of my favorite Catholic artisans. Disclosure: Some of the links below are affiliate links. I only share about products that I love and would purchase myself. 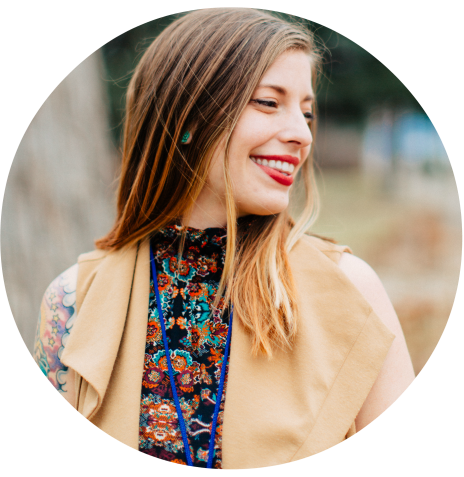 Okay, let’s start with ChewsLife founded by my friend, the lovely Shannon Wendt. 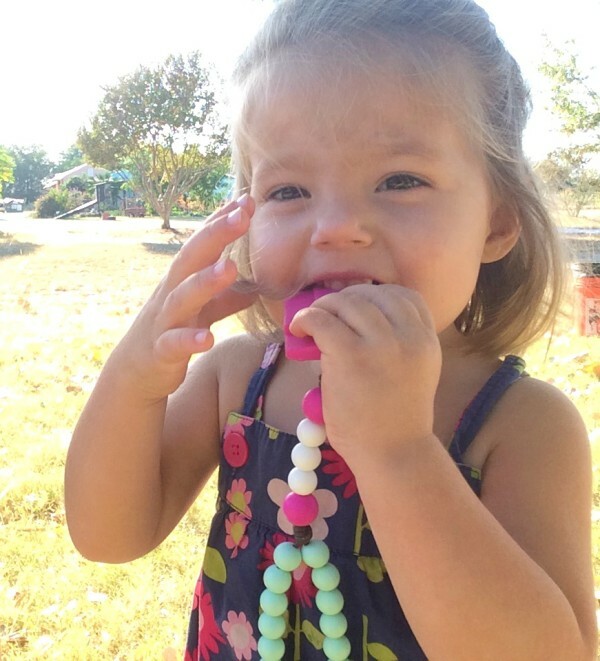 I’ve been a fan of their wonderful rosaries since Gwen was my baby! 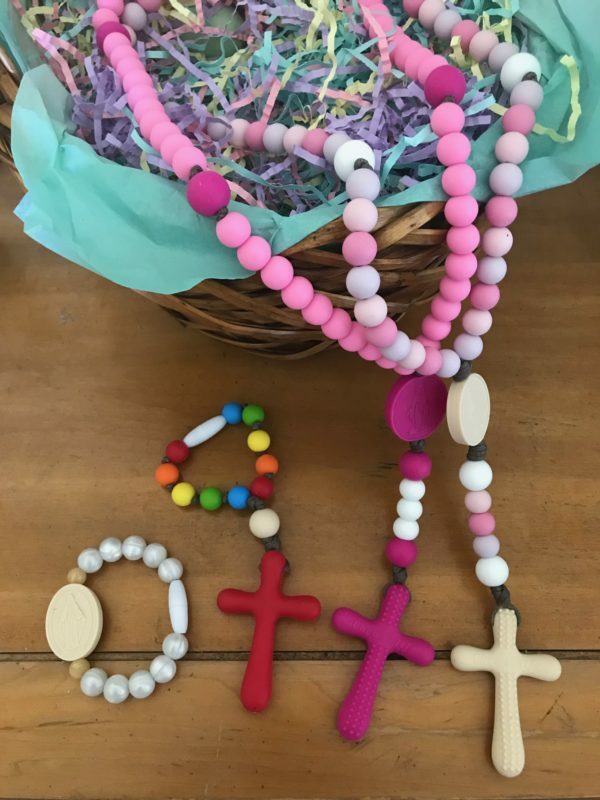 Their food-grade silicon rosaries are perfect for teething toddlers but my older kids love the saints bracelets and decade rosaries as well. For the giveaway, ChewsLife is offering a $50 store credit for your Easter basket filling pleasure! And psst! TODAY only (April 5th) they’re having a B2G1 sale (buy two items get the third free) so head on over! 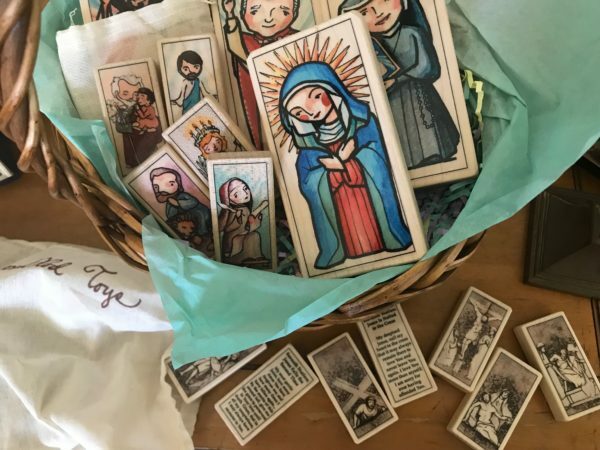 Each block has a beautiful image of a saint on the front and a short bio or a quote from the saint on the back. 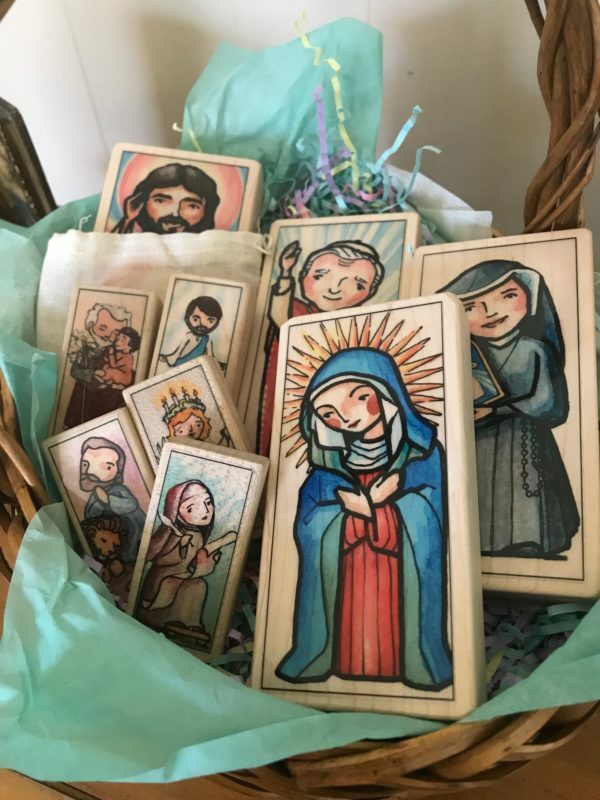 And check out these Stations of the Cross blocks that were JUST released! So stunning. I think our first Shining Light Dolls are from when Lucy was a baby! So it’s been quite awhile and they’ve held up beautifully over the years. 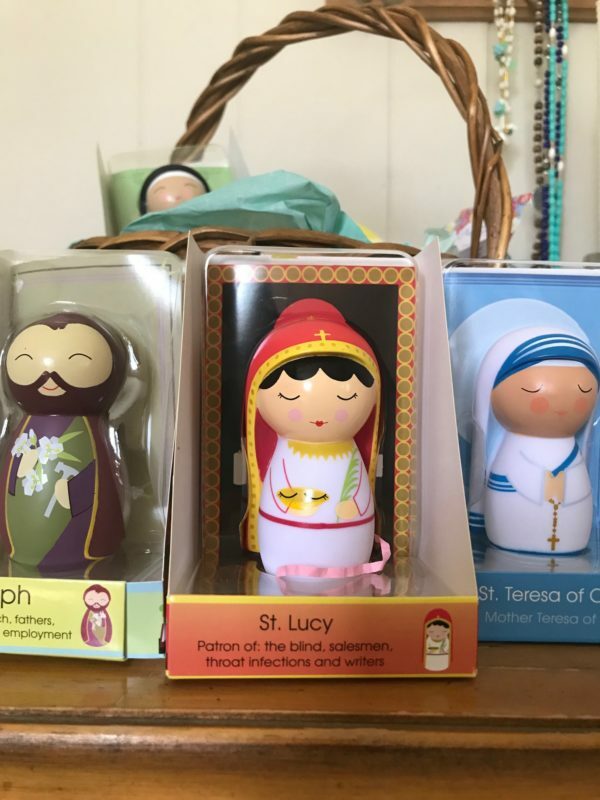 They release new dolls each year and I’m excited to get Lucy her namesake this Easter! Benjamin will get St. Joseph (my fave) and Gwen will get one of her very favorite saints, St. Teresa of Calcutta. 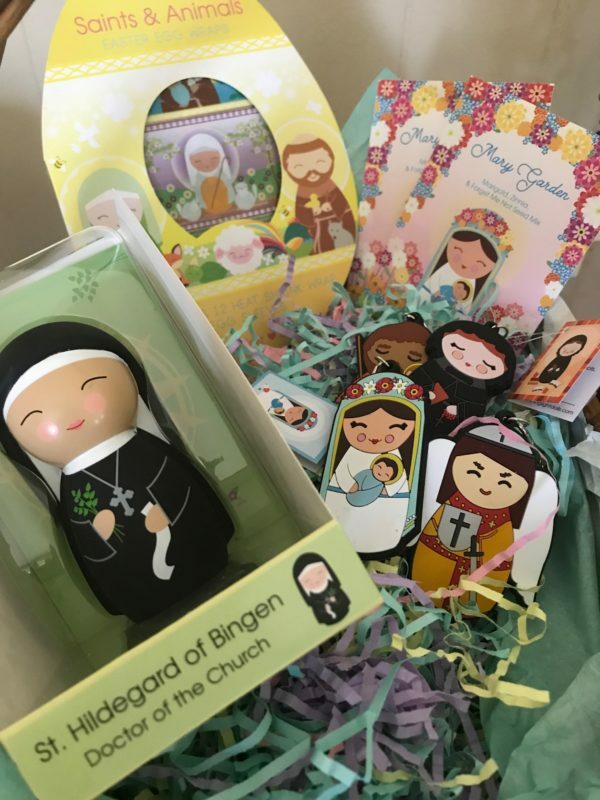 Of course I flipped out a little bit when I realized they have a St. Hildegard for my Hildegard Rose. And I can’t wait to use these egg wrappers and get going on a Mary Garden with these seeds! For the giveaway, Shining Light Dolls is offering a $75 store credit! I have been drooling over the beautiful art by Kortnee of Studio Senn ever since I first spied her literary maps (Narnia! Middle earth! Hogwarts! Neverland!). 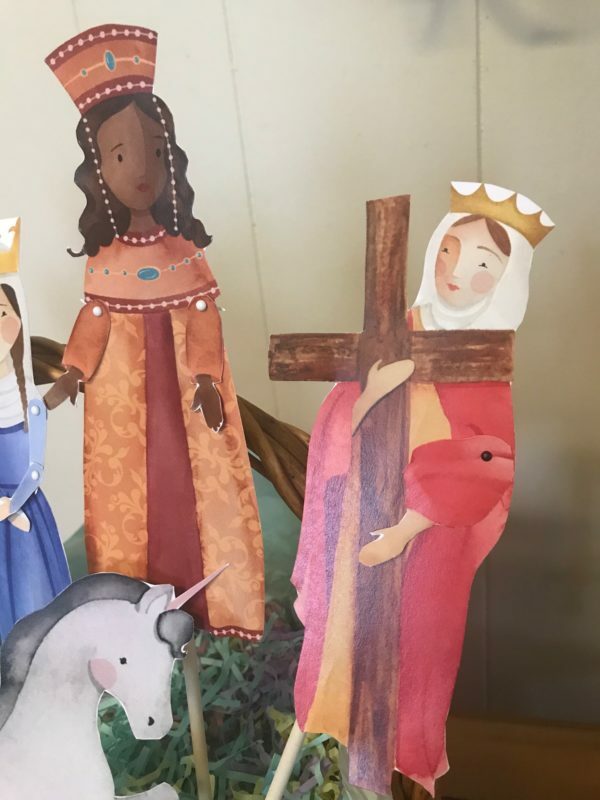 In my girls Easter baskets this year I’m giving them the new Princess saints and the unicorn paper doll sets. Aren’t those sweet? 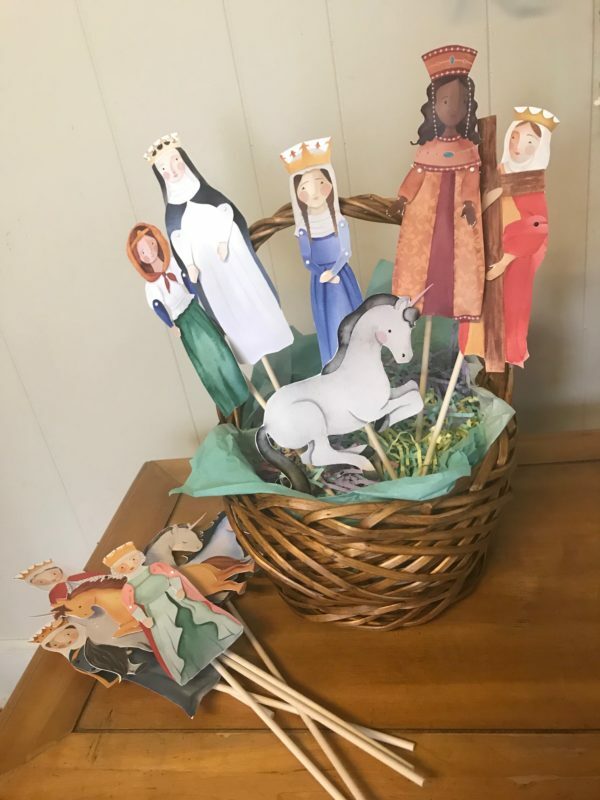 I printed them out on cardstock and put little dowel rods on the back because my girls love to do puppets and they are just lovely. Does anybody else find cutting out paperdolls to be super therapeutic? Look at St. Pulcheria and St. Helena of the True Cross! I just love them. 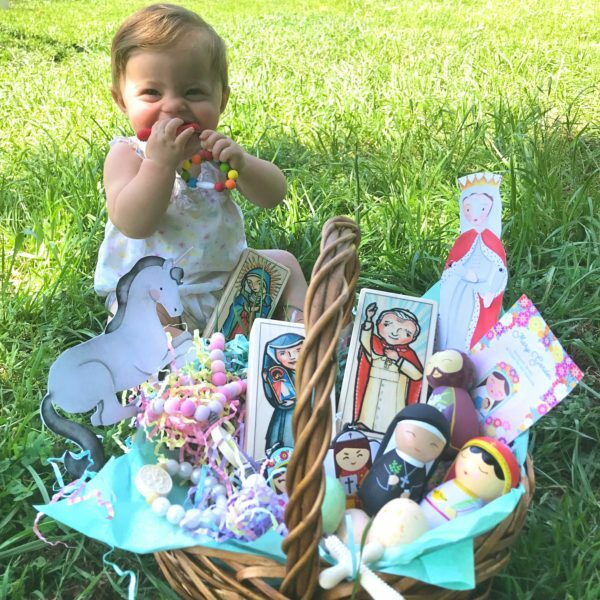 For the giveaway, Studio Senn is giving away their new Princess Saints and Unicorn Paper Doll downloads and a matching print of your choice! Now…how to enter! 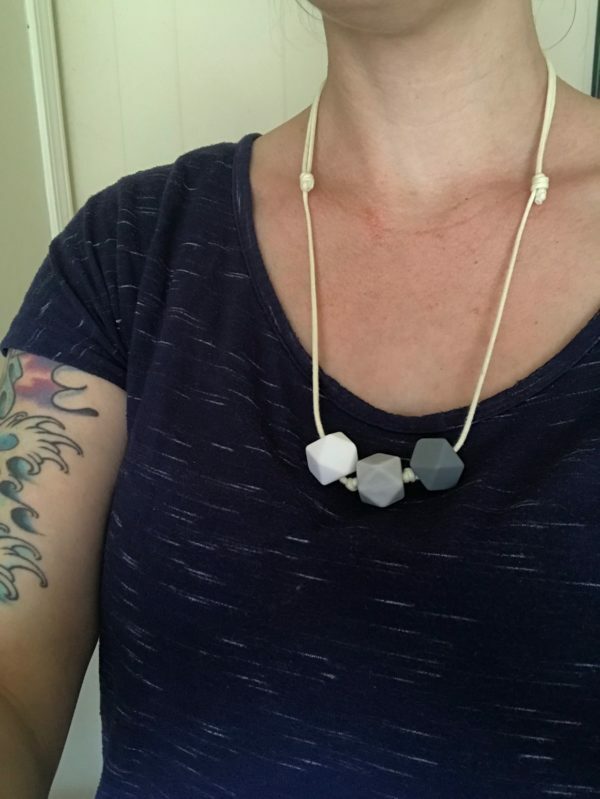 Head over to Instagram (I’m @haleycarrots there!) and follow the instructions. 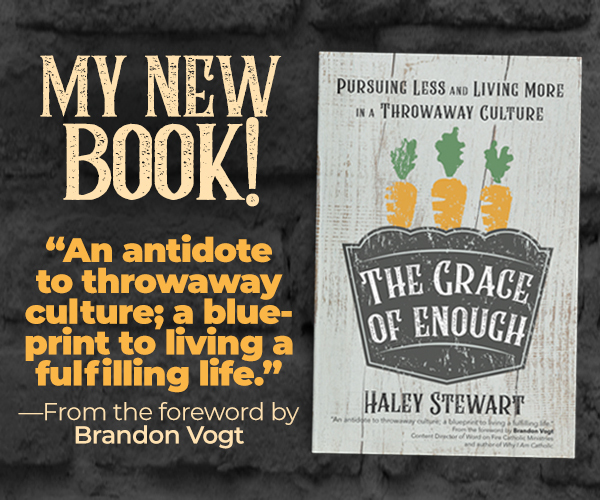 But don’t wait too long because the giveaway ends Monday night! They are all such wonderful gifts! I also do not have Instagram, is there no other way to enter? Sorry, Katherine! Just Instagram this time. It gets complicated having entries on multiple channels! But maybe you could have a friend enter for you? Oh bummer, I gave up social media for Lent. Next time, I guess! Thanks for the recommendations! I just ordered a St. Francis doll for my 16-month-old son’s Easter basket. Super excited!